New Year’s Eve, the night when all of the holiday celebrations near their end in a grand finale at the completion of 2011 and the start of a brand new 2012. This is a night to reflect on the previous year and make your resolutions for the new year ahead that offers hope, peace and love. What an exciting time of year to be visiting North Carolina and looking at Oak Island homes for sale. 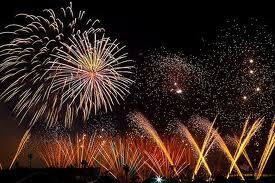 While you’re here you have to experience the fireworks that take place on the Coastal Carolinas oceanfront. Up and down the coast for as far as the eye can see you’ll experience the explosive colors of fireworks filling the sky. From a chair or blanket on the beach you’ll have a front row seat for the fireworks display up and down the 60 miles of coastline. If you choose to venture out to celebrate in the area there are events worth pursuing both south in Myrtle Beach, SC and north in Wilmington, NC. Be safe while you’re on the roads and we wish a Happy New Year to everyone! Keep in mind that we do have some beautiful Oak Island homes for sale at this time. The prices are good and the interest rates are still at a record low. Make one of your New Year’s Resolutions to be pursuing that dream home you’ve always been wanting. I’ll be waiting for your call.